The holiday deals are starting up across a handful of digital gaming retailers. GOG.com is leading the way with hundreds of games on sale, along with free Full Throttle Remastered until Saturday. The year is rapidly approaching its end. Some of the big gaming retailers are kicking off their holiday sales, with GOG.com leading the pack. GOG.com has over 1,000 games on sale, all of them DRM-free, including some recent hits like Dead Cells and Kingdom Come: Deliverance. They're also offering up Double Fine's Full Throttle Remastered absolutely free until Saturday! Speaking of free, there are a handful of games getting free weekends. The Crew 2 and The King of Fighters XIV Steam Edition are both getting free weekends until Sunday. 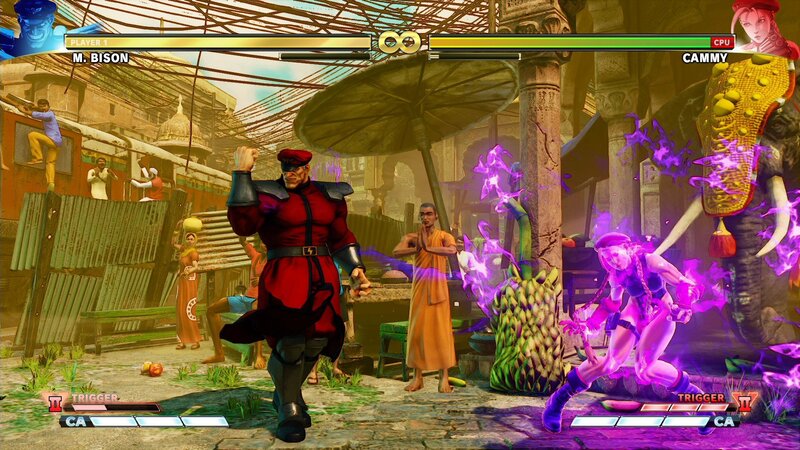 But don't forget about Street Fighter V: Arcade Edition. Whether you're watching Capcom Cup or playing casually, you can jump into Capcom's flagship fighter for absolutely free until Wednesday. Find all of the games featured during the Direct2Drive Holiday Sale 2018. Or pay $47.99 for Total War: Warhammer and all of its DLC packs. These activate on Steam. 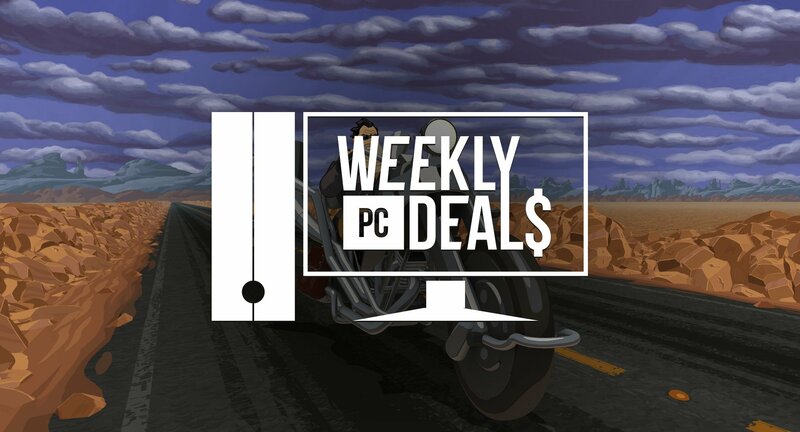 Full Throttle Remastered - FREE FOR FRIDAY ONLY! There are thousands of games on sale this weekend! Check out everything featured during the GOG.com Holiday Sale. It's that time of year again for the Yogscast Jingle Jam bundle. Pay $5 for the Call of Duty: Black Ops 4 C.O.D.E. Salute Pack and a shoutout on the Yogscast Stream. Pay $35 to also receive Animal Super Squad, Kabounce, The Greater Good, Batalj BETA Two-Pack, CardLife: Cardboard Survival (SOLD OUT! ), a 40% discount off of any purchase at Displate.com, Warhammer: End Times Vermintide, Guilty Gear Xrd -SIGN-, Guns of Icarus Alliance Collector's Edition, Switchblade, Tower 57, Unit 4, Throne of Lies: The Online Game of Deceit, Freaky Awesome, the Guild Wars 2 Jingle Jam 2018 Pack, Lakeview Cabin Collection, Chivalry: Medieval Warfare, Game Dev Studio, No Time to Explain Remastered, Convoy, Slime-san, Westerado, Double Barreled, Space Pilgrim Episode I: Alpha Centauri, Don't Stand Out, Sure Footing, Race The Sun, Zero G Arena, Squidlit, LostWinds 2: Winter of the Melodias, Elite Dangerous: Cobra Mk III Ship Skin, Jurassic World Evolution Ankylosaurus Skin (Vivid Variant), Anomaly 2, Anomaly Defenders, Anomaly Korea, Anomaly: Warzone Earth Mobile Campaign, Anomaly: Warzone Earth, Splotches, Fort Meow, Sorcery! Part 3, The Haunting of Billy, Marvin's Mittens, Blade & Bones, Indecision, Future Proof, Temple of Xiala, Cloudborn, Perfect Heist, and new games and items revealed every single day until Christmas day. DRMs vary, but most of the games featured are redeemable on Steam. Or pay $1 for Penarium, Worms Clan Wars, and Interplanetary: Enhanced Edition. Pay more than the average $5.62 to get The Escapsists (w/Fhurst Peak Correctional Facility, Alcatraz, Escape Team, and Duct Tapes are Forever DLC packs), Overcooked: Gourmet Edition, and Sheltered. Pay $10 or more to also receive Worms W.M.D. These activate on Steam. Celebrate the indies all weekend. Find all of the indies on sale during the Humble Store's Indie Mega Week Sale. Purchase any of the following games and receive a $10 voucher and boosted Razer Silver. I played it again for the first time in many years last night with a gf who'd never played it watching along and giving advice. In the article but worth a callout: Subnautica is also free to claim on Epic Game Store.